Youth sports in Bend is huge and extremely popular. Many kids, ours included, are spending multiple hours on the fields and courts exercising and performing repetitive movements. Although we want our kids to be active and engaged in sports, we want them to be safe and keep them from injuries that might affect their sport or worse, plague them later in life. At Hands On Physical Therapy, having our own kids involved with numerous sports, we know all too well the stresses placed on their growing bodies. Fortunately for our kids we are quick to identify the issues and jump on treatment and prevention. We want to be able to do the same for your children! There are a number of factors that can make your child at a higher risk for injury… to name a few, feet malalignment, Muscle imbalances, posture issues, etc. It is important to identify risk factors early and correct what you can before there is a problem. Our Therapists can teach you about the importance of proper footwear and how to assess if a child may need custom orthotics, how to set up proper ergonomics for iPad and computer use. We can evaluate your child for areas of muscle imbalances and teach them specific stretches and strengthening exercises for these imbalances. Be sure to keep your eyes and ears open for common child complaints such as heel pain, knee pain, hip popping, neck and back pain. Seek treatment with the symptoms are in the early phases and save your child from more long lasting and troublesome pain and injury. We are happy to work with individual coaches and teams to help insure safe and effective warm-up and strengthening exercises. We can screen kids for common youth diagnoses such as Snapping hip syndrome, Osgood Schlaters Disease, Patello femoral tracking dysfunction, Sever’s disease, Achilles tendonitis, Posterior tibialis Tendonitis etc. Mention our clinic to your coach and if interested contact Hands On Physical Therapy to schedule. The surgery is over, but there may be weakness, limited range of motion, swelling, difficulty performing ordinary tasks and possibly pain. Rehabilitation is where the work begins. Don’t go it alone! Schedule your Physical Therapy as soon as your Doctor gives you clearance to do so. Advocate for yourself if your doctor has not recommended Physical Therapy. Almost all people, following orthopedic surgery, can benefit from even a few Physical Therapy treatments. A Physical Therapist can teach you specific exercises for your individual needs, and make certain you are regaining proper strength and range of motion. At Hands On Physical Therapy, we make the Rehabilitation as painless and fun as possible. Our Physical Therapists are well trained in Post operative care and have specialized training in a number of techniques and modalities to help with the pain. And, as a standard part of our evaluation and treatment at Hands On Physical Therapy we will be looking for and treating some of the biomechanical deficits you may have had prior to surgery that may have made your body more vulnerable to injury or arthritic development. This will enhance outcomes and speed up recovery. Sometimes Motor Vehicle Accidents can lead to injury. They can also awaken a dormant injury you thought was well healed. The jarring motion that occurs in the accident can cause muscle spasm, neck or back strain, muscle tears, nerve pain, even fractures. If you are hurting, see your doctor and seek help. Research shows the sooner you receive treatment after an injury the faster you will recover. At Hands On Physical Therapy we are experts in a wide variety of manual therapy techniques. This is important as often there is muscle spasm accompanying the injury and some people require more gentle techniques to calm the nervous system down. Whatever your symptoms we can utilize a wide variety of either modalities or techniques to help ease your symptoms and help you recover faster. Are you a runner wanting to do your best to prevent injury? Or, are you a runner who is taking a hiatus due to prior injury? Are you eager to return to the sport but nervous? Maybe you are a runner currently dealing with pain? In all of these scenarios we can help you! We will assess your running form on a treadmill using a slow motion recording device. We will assess for biomechanical imbalances, muscle weaknesses and loss of range of motion. We will provide treatment through manual therapy, taping techniques, shoe wear recommendations, and specific exercise instruction based on your needs. We often incorporate triplane exercises and traditional exercise instruction. And for those that need more instruction in these useful but complex exercises, we offer classes for further instruction and guidance. Back pain is common and can occur for a number of reasons. Everybody is unique and presents with different “co-morbidities” even when they may have the same diagnosis. For this reason, we do not take a cookie cutter approach when we treat those with spinal conditions. The Physical Therapists at Hands On Physical Therapy will approach your back issue as a problem that is unique to you. They will draw from advanced training in multiple different proven techniques to help with spine pain and dysfunction. What they won’t do is put you on a “one size fits all” back program or on Med-ex equipment expecting THAT to solve your individual problem. Don’t be surprised if you also receive treatment for areas away from the spine. And don’t be surprised if you find this to be the missing link when other strategies have failed. Call now to make an appointment and see how we can help. It is wonderful news that the “wait and see” approach that has been the predominant method for treating Scoliosis in the United States is quickly changing. More Physical Therapists are undergoing advanced training in Physiotherapy Scoliosis Specific Exercises (PSSE). Physicians are learning about these specific exercise approaches and are referring more patients. Patients and families are taking a more proactive approach to their own healthcare and well being and seeking out new techniques. Since 2011, Hands On Physical Therapy has been leading the way in Bend, offering such progressive and empowering exercise approaches. 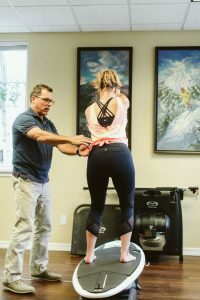 Lisa Kennedy-Leary, PT became the first Physical Therapist in Oregon to offer the Schroth Method after undergoing her C1 certification in 2011. She has gone on to become C2 certified in the Schroth method and has additional training in a functional exercise method founded in Italy, known as the SEAS method. Since adding Jennifer Wardyga, PT, DPT ( who is also C1 certified ) to our team, there is no longer a long wait to be seen. It is not known precisely what causes Scoliosis, nor can one predict with certainty whose curve will progress. But we do know that Scoliosis is a 3 dimensional deformity of the spine and asymmetrical forces on the spine have the potential to worsen in childhood or adulthood. The curve specific exercises in the Schroth and SEAS methods use muscle and joint forces to alter the asymmetric loading on the spine to minimize the progression of the curve. In some cases a reduction of the curve may be seen. The curve specific exercises are taught in multiple positions to challenge the body’s strengths and weaknesses. The postural components in scoliosis are addressed. And, when the exercises and posture are practiced consistently the spinal forces are changed and the body can achieve a more optimal position. Research shows that when a brace is indicated, better results are achieved when bracing is combined with Physical Therapy using Scoliosis Specific exercises than when bracing is used alone. If you are experiencing clicking in your jaw, jaw pain or fatigue, difficulty opening your mouth eating or talking, or even neck pain, you could be experiencing what is known as Temporal Mandibular joint dysfunction also known as TMD. Physical Therapy can be very helpful with these symptoms. The Physical Therapists at Hands On Physical Therapy will address the localized muscle or joint tightness seen in the jaw and frequently seen in the neck, thoracic spine and rib cage. They will address any postural issues seen and teach you exercises to improve your posture as well as educate you on best ergonomics for sleeping, sitting at your desk etc. When mouth guards are needed, they will refer you to a dentist specializing in this. Many women will experience some level of pelvic pain, Sacroiliac joint pain, abdominal pain, urinary leakage, rectus diastasis and and some may even experience organ prolapse. This can affect woman of all ages including athletes in great condition. Most woman are either too embarrassed to talk about it or don’t realize there is help. Our team of Women Therapists at Hands On Physical Therapy are here to help you. Did you recently have a baby? Congratulations! You are giving birth in a new age where there are greater awareness and openness about pelvic floor dysfunction, back pain, and incontinence following childbirth. A 2018 American College of Obstetric and Gynecology task force is saying “its time to frame postpartum care as an ongoing process requiring personalized, cross-disciplinary approach including the use of physical therapy when appropriate” They are embracing the concept of a ‘Fourth Trimester” and the idea that mother and child need ongoing care through at least the first 12 weeks after delivery. This is great news for women. With this acknowledgment from the ACOG, we are hopeful that all women will be more quickly screened for pelvic floor dysfunction, pain, and incontinence and will be referred to Physical Therapy more quickly so these issues can be addressed and taken care of. If you are not referred by your Physician yet are experiencing any of the above-mentioned problems, we can still help you. Most insurance companies do not require a referral for coverage. Please call for an appointment at which time you will be evaluated by one of our Physical Therapists specializing in Woman’s Health Issues. We offer a “Restore Your Core and More Program” with the goal of educating woman as soon after childbirth as allowed by their doctor. We recommend the earlier the better. If you are experiencing vertigo, dizziness, imbalance, frequent headaches or impaired postural control you could be experiencing vestibular issues or BPPV. The Physical Therapists at Hands On Physical Therapy are specifically trained in the mechanics and treatment of the rib cage. This area of treatment is often overlooked, and under treated. Rib cage movement issues can be the underlying cause of shoulder issues, neck issues, thoracic spine issues, respiratory issues, autonomic dysfunction, tingling or numbness in the arms or hands, headaches, jaw and TMD problems and many other peripheral problems that use the trunk as their platform. At Hands On Physical Therapy we have Physical therapists specifically trained in the biomechanics of sports. We can develop an individualized strength, flexibility and training program around your specific needs and sports. The advantage of this specificity allows us to individually assess biomechanical compensation which may be leading to loss of power, speed, endurance or even injury. Dancers are especially hard on their bodies pushing their joints into extreme ranges. This can lead to a whole host of problems such as snapping hip syndrome, Patellofemoral tracking dysfunction, Achilles tendonitis, to name a few. Our Physical Therapists have specialized training working with this population. At Hands On Physical Therapy, we are very conservative with our recommendation for orthotics. In our opinion these are not indicated for everyone. However, for some structural over pronators these can be a true necessity. We will assess your foot type and biomechanics and give you our unbiased opinion whether this is something you need. If orthotics are recommended we can take measurements and cast for the orthotics in house and send them off to the lab for fabrication. In some situations ie, diabetics or complicated patients that may need a lot of adjustments, we will refer you to one of our favorite Orthotists or Podiatrists in town. We no longer bill insurance companies for Orthotics and charge a flat rate of $375.00. We are happy to bill your insurance company for the evaluation and casting. Please scroll down on this page to see list of common orthopedic problems that we treat. We have found that the application of skilled manual therapy combined with exercise and modalities is significantly faster and more effective at getting results than exercise and modalities alone. At Hands On Physical Therapy, our Physical Therapists incorporate manual therapy techniques into most, if not all, our patient treatments. Our belief is that in order to achieve maximal lasting results, you first must reduce pain and increase motion and then follow that with specific strengthening exercises tailored to the patient’s problem. Beginning strengthening exercise before the first two criteria are met, usually only serves to strengthen the dysfunction. Having a wide array of techniques to use, and knowing what techniques are indicated, is the key to successful outcomes. Below are some of the Manual Therapy techniques we incorporate into our treatment when they are appropriate. Muscle Energy Technique (MET) is a manual therapy technique that uses the gentle muscle contractions of the patient to relax and lengthen muscles in order to normalize joint motion and position. This technique involves the patient isometrically engaging their muscles from a precisely controlled position in a specific direction and against a specific amount of Therapist applied counter-force. This is a manual therapy technique in which the Therapist assists the patient to passively assume a comfortable body position which neurologically relaxes spasmed and painful muscles and helps the muscles to relearn normal resting position. This is an extremely gentle and pain free technique, often highly effective post Motor Vehical accident or trauma. Is another manual technique aimed at restoring homeostasis in and around the nervous system. This technique utilizes both passively generated and exercise generated movement to restore normal relationships between the nervous system and the tissues that surround it. Is a manual therapy technique developed by Brian Mulligan, PT. In this technique, the Therapist applies a passive glide mobilization to a joint, while the patient actively performs a movement to assist the glide and re-educate the nervous system to the appropriate motion. There are a wide variety of Myofascial techniques available. The myofascia simply refers to the muscle and surrounding connective and soft tissue. Different techniques are suited for different conditions. At Hands On Physical Therapy, we know that no two patients or conditions are the same – All of our Therapists are skilled in a variety of these techniques. In addition we have a Licensed Massage Therapist on staff in the cases where the patient is needing more tissue work. 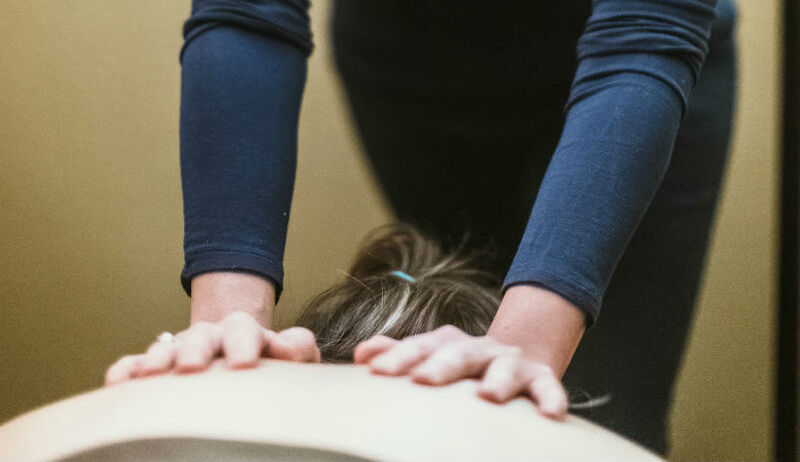 Is a safe and very effective hands-on technique that involves applying gentle to moderate sustained pressure into the myofascial restrictions to eliminate pain and restore motion. Is based on a Chinese practice which has been around for thousands of years. In Physical Therapy, we utilize it not for its medicinal purposes, but for its ability to facilitate lymphatic movement, edema management, blood flow, relaxation and pain management. Suction type cups are placed on the skin and moved to facilitate the above mentioned outcomes. Unlike massage where your soft tissues are compressed, in cupping your tissues are unloaded. Most are familiar with the instrument-assisted tissue Mobilization called the Graston Technique. There are many types of instrument-assisted tissue mobilizations that use some type of tools to break down adhesions in the affected tissue. 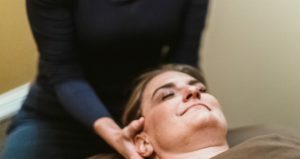 Being able to provide more targeted deeper pressure than Therapists hands, these tools are very effective and can increase tissue healing time. Incorporating the use of tools when there is scarring, tendonitis or tendonosis is highly recommended for best outcomes. The SASTM tools are unique in that they allow the Therapist to feel or hear the sound of the fibrotic adhesions, thus guiding the practitioner to the area of restriction for treatment. When it comes to taping, most people think of the colorful Kinesio tape, which gained popularity during the 2008 Beijing Olympic Volleyball players. Kinesio taping is just one of the Taping techniques utilized by the Therapists at Hands On Physical Therapy. Steve and Lisa recognized the benefits of taping long before the notarity it gained during the Olympics and have been taping for over 20 years. At Hands On Physical Therapy, our belief is that if we can help promote an improved and more anatomically correct joint movement or tissue alignment through taping, it allows us to “keep our hands on the patient” for hours to days after the patient leaves the clinic. Due to the success and improved outcomes seen with taping, the Physical Therapists at Hands On Physical Therapy often use taping as one of the “tools in their toolbox”. The specific injury and problem dictates what type of taping techniques incorporated. Was developed by Dr. Kenzo Kase in the mid 1970’s. Kinesio tape is used to facilitate the body’s natural healing process while providing support and stability to muscles and joints without restricting the body’s range of motion. We use this technique to help decrease pain, inflammation as well as providing extended soft tissue manipulation to prolong the benefits of manual therapy administered within the clinical setting. The tape is Latex-free and wearable for days at a time. This taping technique is safe for populations ranging from pediatric to geriatric, and successfully treats a variety of orthopedic, neuromuscular, neurological and other medical conditions. There are now many brands of Kinesio Tape on the market. All have a slightly different adhesive, some sticking better than others. At Hands On Physical Therapy we utilize Kinsio Tex, Spider Tech, and RockTape. Developed by Physiotherapist, Brian Mulligan, PT. This taping technique uses rigid taping to achieve specific joint mobilizations to help decrease pain, promote joint alignment, improve range of motion, and improve functional outcomes. Developed by Australian Physical Therapist Jenny McConnell, PT. This technique uses a rigid tape over an under wrap tape to mobilize or stabilize a joint to decrease pain, promote improved joint alignment, improve range of motion and ultimately thus improve functional outcomes. At Hands On Physical Therapy, we feel there is a time and a place for Modalities. Because we don’t apply a “one size fits all” mentality, one of these modalities may or may not be recommended for you. Also know as Low Level Light Therapy. This is a treatment that utilizes specific wave lengths of light to interact with tissues to accelerate the healing process. 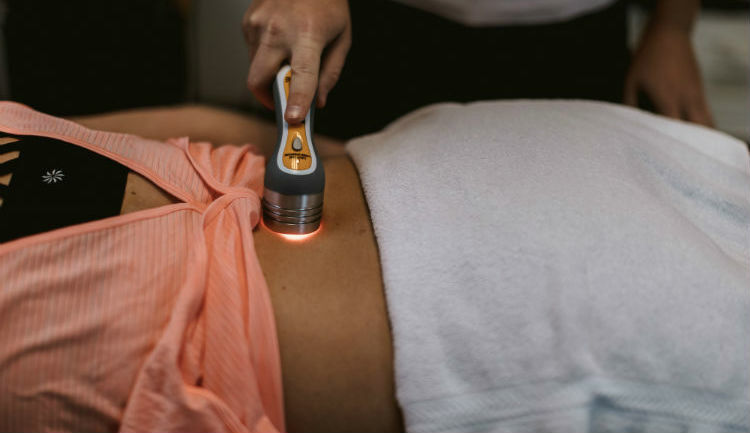 Utilizes Ultrasound to enhance the delivery of topically applied analgesics or anti-inflammatories through the skin and into the tissue. Is typically used to treat bursitis or tendonitis. Iontophoresis: This modality utilizes electrical stimulation to administer a topically applied anti-inflammatory like dexatmethasone into the painfor and swollen tissue. This modality utilizes electrical stimulation to administer a topically applied anti-inflammatory like dexatmethasone into the painfor and swollen tissue. This modality is used to decrease pain, decrease inflammation, improved circulation and assist with muscle contraction to help decrease muscle atrophy. Transcutaneous Electrical Nerve Stimulation (TENS): It is commonly used to help decrease acute and chronic pain. It works by altering or interrupting the pain signals that travel from the injured tissue to the brain. Neuromuscular Electrical Stimulation (NMES): This may be used to help the muscles contract after injury or surgery. This use of Electrical Stimulation acts as a muscle re-education and can be used to help decrease the amount of muscles atrophy after surgery. Physical Therapists as a whole are experts in biomechanics and exercise. At Hands On Physical Therapy, we are well versed in a wide variety of exercise techniques and exercises to help you strengthen and stretch. 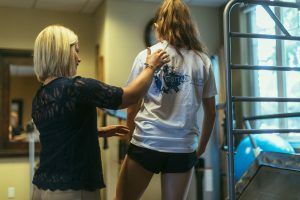 Our Physical Therapists will assess the areas of weaknesses and tissue tightness and instruct you in an appropriate Flexibility and Strengthening Exercise plan. Our Physical Therapists will teach you a specific individualized home exercise program based on your unique set of circumstances which led to your injury. We do not believe in a “one size fits all approach”. We are not advocates of the prefabricated exercise and stretch programs often prescribed in gyms and higher volume Physical Therapy practices. We also take a critical eye on new fad exercise programs to make sure you are doing what is best for YOUR body and particular circumstances. 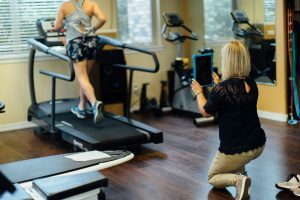 Our Therapists will take into account not only your diagnosis, mobility, strength and weaknesses, they will also take into account your motivation, time, resources, and interests as they design an exercise program that will work best for you. The goal is to get you moving and exercising for better fitness and wellness. So working with you to find the program that you will follow through with is key. You will find state of the art exercise equipment at our clinic. In addition to having the traditional aerobic equipment such as treadmills, ellipticals, stationary bikes, we are also proud to have and utilize a Paddleboard and kayak ergometer, fitters, body blades, Pilates equipment, whole body vibration on a Power plate pro 5 machine and much more. to better wellness! Contact us today! We have been providing individualized, comprehensive, hands-on Physical Therapy in Bend for over a decade. © 2019 Hands On Pt. All Rights Reserved.